Elegantly designed Parklane Home in desirable Heritage Woods. Beautifully maintained and tastefully decorated with over 3,252 sq ft of living space. Featuring spacious kitchen with maple cabinets, island, and stainless steel appliances adjacent to a large dining area, vaulted ceilings in living room with floor-to-ceiling windows, impressive fireplace mantle & entertainment center (wired for surround sound) and gas fireplace, 4 bedrooms + den, 4 washrooms, fully-finished basement, double garage, open floor plan, walk-out basement, crown mouldings, spiral staircase leading to all three floors, plus much more. 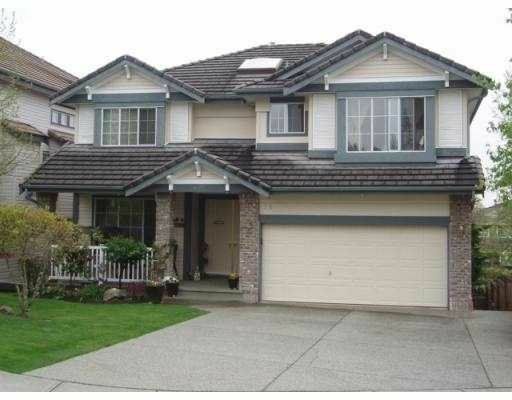 Excellent location, close to schools, buses, rec centre & shopping at Newport Village, Coquitlam Centre or Lougheed Mall.